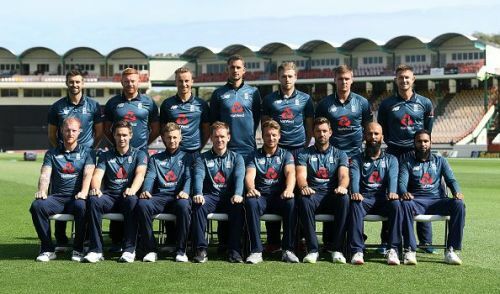 Will England squad step up this time for the ICC Cricket World Cup 2019? Well, that’s the most prominent question for fans and the team. World Cup 2019 is just a few months away. All the teams are ready to roll for this huge event and so as England. With England and Wales being the host, they are the outright favourites to clinch the title for the very first time. All the speculations are with England. Starting from Cricket experts to legends everyone believes that this might be the breakthrough year for them. And most importantly, the odds are also with them. They were thrashed out of the World Cup in 2015, without even reaching the quarterfinal and in Champions Trophy 2017 they were crushed by Bangladesh in semi-finals, thus they will be looking for a turnaround this time. They are a confident side now and have the required skill-sets to become successful in this World Cup. Since the completion of the previous World Cup and until now they are scoring and chasing gigantic scores. Scoring 300 and sometimes even 400s seems like a cakewalk for them. That clearly states the change in mindset and their playing style after 2015. Their biggest plus point is their deep batting line up. Starting from Jason Roy, Alex Hales and Jonny Bairstow their top order can upset any bowling line up. Eoin Morgan and Joe Root give them stability and then, fierce strikers in the likes of Jos Butler, Ben Stokes, Chris Woakes and Moen Ali can demolish the best of the bowling attack. It doesn’t end here. Adil Rashid, Mark wood, Liam Plunkett can also bat a bit meaning the batting continues till no. 10 or 11. Their all-rounders are of pure quality. Other than batting their fielding is exceptional because of fast and active players. They have become mentally very forceful. With the added home advantage in the World Cup and with the roaring crowd support, they will be hard to stop by any team. There are no such weaknesses that we can point out, but if we look closer than, their bowling is weaker in comparison to their batting. They can’t overlook any aspect of the game before going in such a grand event. The last series against the Caribbeans is the actual proof of their vulnerability. West Indies countered their bowling line up by scoring over 350 twice in a five-match series. The ''Universe Boss'' smashed 424 runs with 39 sixes in the series. Windies bowlers also had the edge over England bowlers in terms of wickets, five-wicket halls, economy etc. However, Adil Rashid was the highest wicket-taker in that series with Oshane Thomas. But no fast bowler of England could consolidate well. Defending low totals is arduous, but for England, it seems harder than everyone else as there were instances where they just lost it altogether. Thus, they need to dig deep and find an answer to this problem. Their fast bowlers need to do put utmost efforts and also exploit the English conditions that they are familiar with to get the most benefits. The balance Stokes, Woakes and Moen Ali offer to the team is enormous. Every player in the team bats a bit and that's the upper hand, they have over other teams. They have so much variety in the batting order that there are no problems of who will bat at which number. With Jonny Bairstow cementing his place in the top of the order now, they can either go with Hales or Roy. They have a firm middle order which consists of Eoin Morgan and Joe Root. Then comes Stokes, Butler, Moen Ali, Woakes who can play as finishers for them. They have everything that it takes to be a Champion on this level. It’s just that they need to perform together like the way they are doing now and surely they will be unbeatable in this format. What sets the team apart from previous England teams? In the last four years, they established many records and thus are the most consistent side in world cricket. The star players in the likes of Butler, Stokes, Morgan, Root, Bairstow etc. they all now become responsible and understand the team dynamics. They have confidence in their abilities. They are the no 1 ODI side now, they have in-form players and thus are a very different team this year. If someone has a choice to predict the winner of this 2019 World Cup, then there will be high chances that England will be there on everyone’s list. They have a formidable team, and with the fearsome attitude they are having, they will be the contenders to look out for. India, Australia, South Africa and New Zealand they are also very tough candidates but not as much as England. They will be in a lot of pressure because of the expectations of the fans, the experts, pundits etc. Can they make the history this time? Can they conquer the England soil? Trevor Bayliss and his side would be hoping for a victorious run in this magnificent event. They will hope that they will handle the pressure of big tournament this time.